Can someone actually “fly under the radar”? It is quite a common phrase, usually without having anything to do with radar or aviation. But. Is there such a thing as 'flying under the radar'? If so, why is this (and how low is that)? In many cases, yes you can fly under the radar because typical civilian radar is line of sight, meaning that it has to have a straight unobstructed path to an object in order to "see" it. This is because it works by sending a radar signal out and waiting for it to reflect off of something. If it reflects off of another object, like the ground, a mountain, a building, a thunderstorm, etc. then it won't see what is behind it. 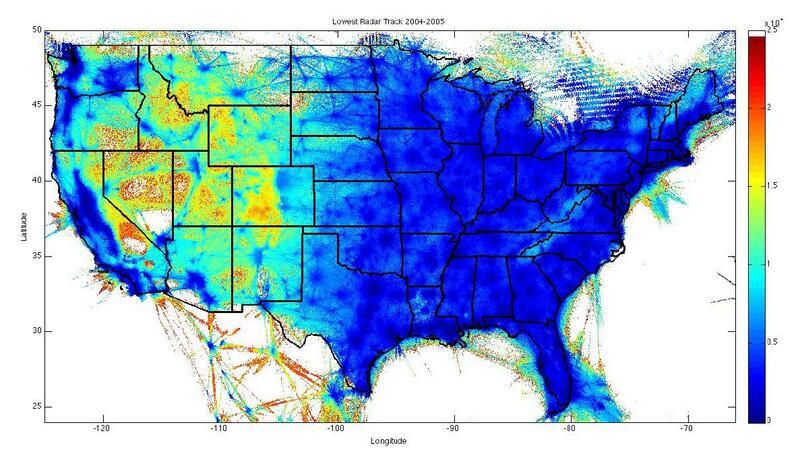 Since the earth is round, flying "under" the radar is flying beneath the coverage area that the radar can "see" directly from where it is, and the height of radar coverage depends on the distance from the site as well as the terrain. The top half shows how the curvature of the earth affects it and the bottom half shows how other objects can shadow radar (even though is is using aircraft radar, the same principle applies). That being said, there are other types of radar and other ways of utilizing radar that minimize this problem and make it nearly impossible to fly under it. This is downward looking radar attached to a 25,000 ft. tether. From 15,000 ft. it can detect aircraft and even vessels all of the way down to the surface of the ocean out to 200 miles. In civil aviation, mountains or other terrain can block radar signals. Going too low in a mountainous area will take you out of their radar coverage. For this reason, controllers have Minimum Vectoring Altitudes. These are based both on the radar coverage and terrain so that ATC can ensure aircraft will be at a safe altitude. Here is a cross section of how radar coverage may look. Obstructions can block lower portions of the coverage as it radiates outward from the radar facility. 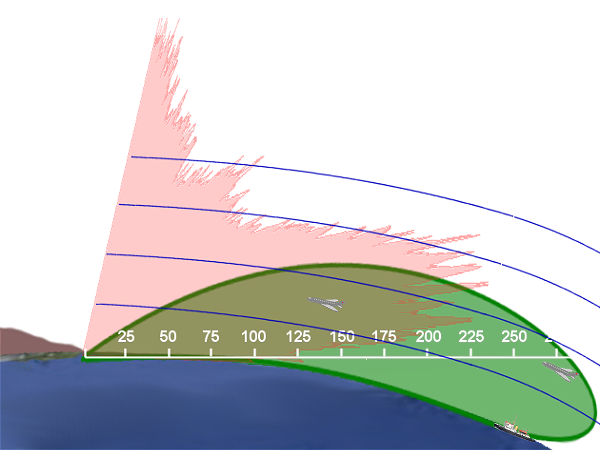 The red indicates the normal radar used by ATC (the green is called "over the horizon" radar, generally used for military early warning radar). Even military radars have a limit of the lowest altitude at which they can track aircraft. This is because the radar signal will also reflect off of the ground and objects on the ground, causing interference. This is called clutter and can be avoided by Doppler radars that detect velocity. The concept of the radar horizon determines the point at which clutter will no longer affect the radar. The SA-6 air defense system can engage targets using radar down to 100m, and the SA-8 can engage down to 10m. These are both short range systems, though (less than 30km). This report has some references about areas on ATC radar that are difficult to cover because of obstacles such as wind farms. Because the radar doesn't distinguish altitude, controllers may not be able to distinguish an aircraft within these areas of interference. Secondary Surveillance Radars work on 1030 MHz and 1090 MHz. Most primary radars work at higher frequencies. Signals at these frequencies do not follow the curvature of the earth very well. They work best in line of sight. 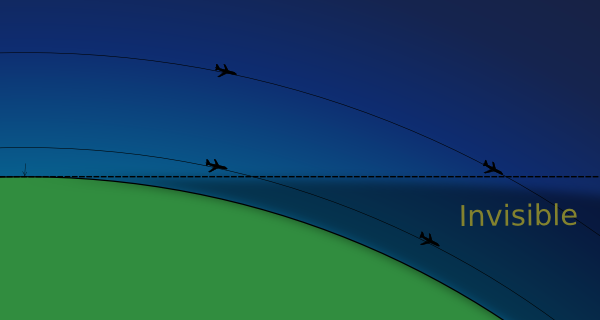 Aircraft far away from the radar must be at high altitude to be above the horizon, otherwise they are "under the radar"
In flat terrain at 1 000ft, the horizon is about 33 nautical mile away. Aircraft further away will be shielded below the horizon. For 40 000ft, the horizon is about 220 nautical mile away. Due to a slight refraction of the signal the practical range is somewhat further than the visual line of sight. Keep in mind that the signal is also blocked by terrain; nearby hills and mountains obstruct views. It also depends on the premise of the radar system. The civilian ATC radar system is based on the targets being cooperative (transponders) and they actually want certain aircraft to be invisible: private aircraft not using controlled airports, for example. The system also deliberately removes slow-moving targets like flocks of birds. Military radars, of course, assume the opposite. They deal with the line-of-sight problem with remote installations (e.g. DEW line), over-the-horizon systems that can boil water at short ranges, and during a battle will put the radar station overhead (AWACS). Mounting your radar antenna at 30,000 feet will extend its range a long way, and make it both harder to blow up and easier to replace. 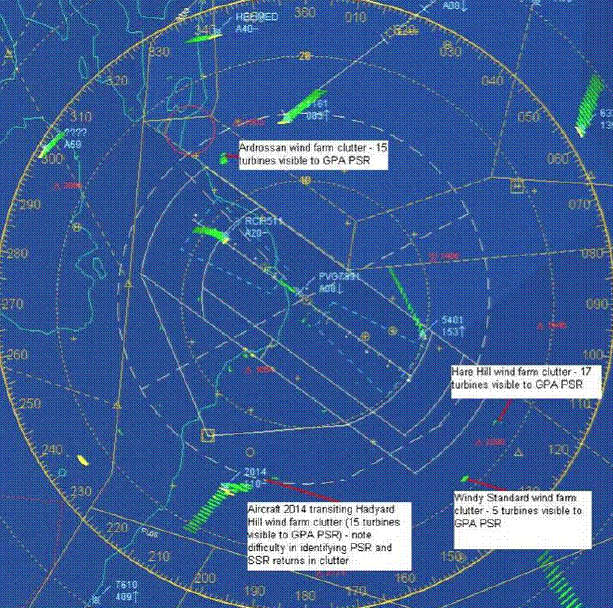 ATC radar is line of sight and doesn't follow the curvature of the earth. It does a bit but not enough to stay parallel to the ground. The radar is also blocked by terrain (read: mountains). This is one of the limiting factors of radar. First, yes, it is entirely possible to fly under the coverage area of most civil radar systems. Other have already explained that in detail. 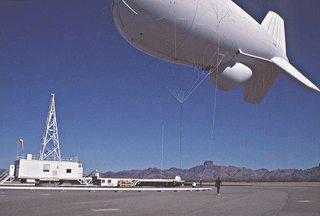 However, there are radar systems that are not so limited by line of sight, and are able to see Over the Horizon using various techniques. So just because you're out of or below the range of the far-away radar does not mean that no one is watching you. The figure was taken from here, page 73. With the introduction of ADS-B as a surveillance source, this will change quickly. Areas where radar coverage is poor can be improved by the installation of an ADS-B receiver, which is significantly cheaper than a radar installation (~25X cheaper). Yes, staying at low altitudes can mask your presence to ATC primary radar systems as well as all but the most advanced military radar systems. Low azimuth scanning by a radar antenna introduced unwanted electromagnetic interference with its signals also known as ground clutter. It becomes much more difficult for a radar set to detect a single target flying in this clutter until the aircraft is much closer to the transmitter, thereby greatly reducing the detection range. Military pilots in non stealth combat aircraft will often opt to fly at low altitudes to hide in clutter. While this does offer a measure of protection against command guided surface to air missiles as well as fighters, it makes the aircraft vulnerable to short range surface threats like close in radar guided AAA or MANPADS. Drug smugglers perfected an art of low flying to avoiding detection in the late 1970s and early 1980s by flying mule aircraft low on the deck over the ocean. See Mickey Munday's or Barry Seal's story from the documentary Cocaine Cowboys where they talk about flying an aircraft into the Bahamas at night 50 feet above the ocean. They claimed that as long as they couldn't see the glow of lights from Tampa, FL, they were too low to be detected by ATC. In addition to the other answers, radars need to account for moving objects on the ground. To deal with this, most radars don't want to pick up a moving truck or a tree swayed by the wind at all. There's just too much stuff moving on the ground already, so even if the radar waves do reach you, if you're low enough you're part of the noise at ground level. Retired F-111 A-G and EF models, and existing B-1B Lancer aircraft use(d) Terrain Following Radar (TFR) to fly under radar coverage. 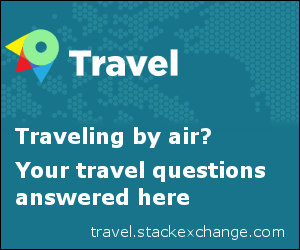 Can I request VFR flight following in a practice area and without a flight plan? Does weather radar scare off birds? How prevalent is traditional radar tracking of commercial aircraft? What is the effect of opening airplane bay doors on the radar cross section of the airplane? Why does weather radar not report some precipitation? Does a secondary surveillance radar need the support of a primary surveillance radar? How can a single misplaced screw so massively increase a stealth aircraft's radar cross-section?